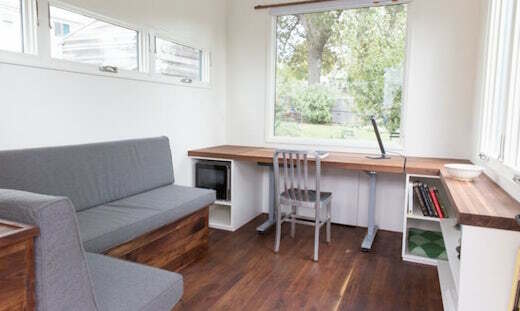 Perhaps living in a tiny home isn’t quite feasible for most people, but I’m sure many entrepreneurs would appreciate their own tiny mobile office. And this one fits the bill perfectly. It was designed by the creators of the Minim House and is called the Minim Workspace. 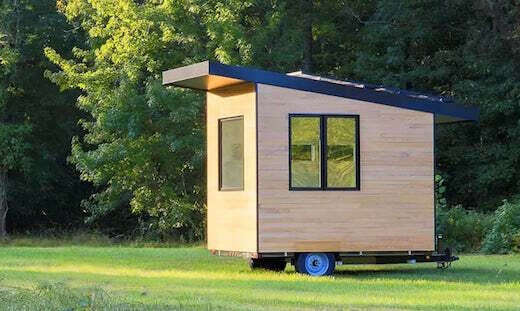 It’s towable and can even run off-the-grid. And it’s certainly a great alternative to working in a coffee shop and offers a way to enjoy nature while working. The Minim Workspace measures 80 sq ft (7.4 sq m), which is enough room for a sizable working surface as well as a comfy lounge area. 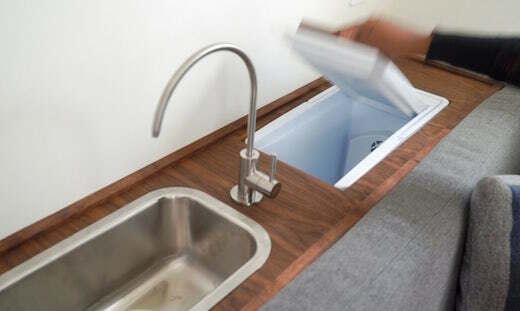 They also managed to incorporate a sink, a tiny fridge and a microwave. 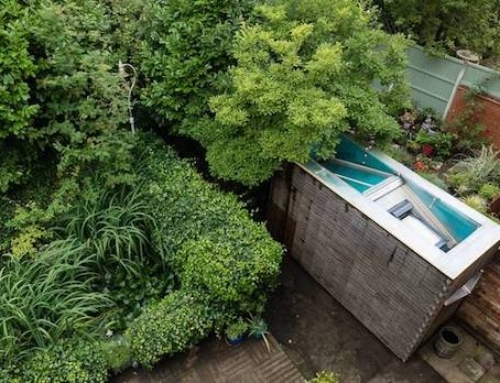 There is no toilet or shower though, which is a shame. The reason for this is that they envisioned it as being parked near a home or business, where these facilities would be accessible. According to the company, it can be parked anywhere legally and renters require no permits to do so. They are advertising it as the perfect mobile office for startups or even as a portable music studio. Heating and cooling is provided via a noiseless air-conditioning and heating system, while the office also features LED lighting throughout. The basic version is designed to be hooked up to the grid, but there is the option to install a solar power array on the roof, which would make it independent of the grid. It also doesn’t come with mobile Wi-Fi included, so occupants would need to have their own personal hotspot. It seems they plan to only rent these offices out and not sell them. 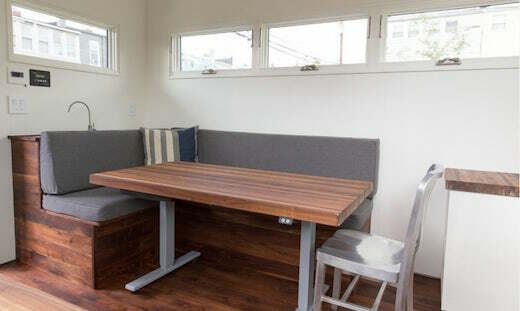 The on-grid version of the Minim Workspace can be rented for $775 per month, while the off-grid version costs $925 per month. They can be booked within a 75 mile (120 km) radius around Washington DC, and they will be available by March 2017. Once the mobile office is delivered, the person renting it can’t tow it to another location.